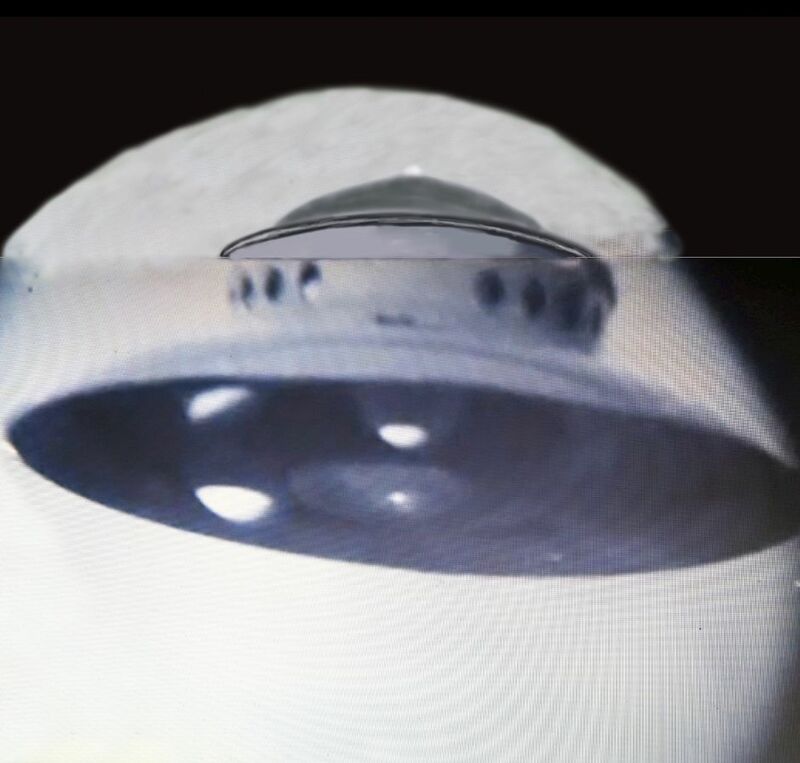 This is the first photo which Adamski took - The object was too close for him to get the whole craft in the viewfinder - this is a rendition of what it would have looked like - including the original clearly marked. Here is the second photo of the four photos taken on that day by George Adamski. 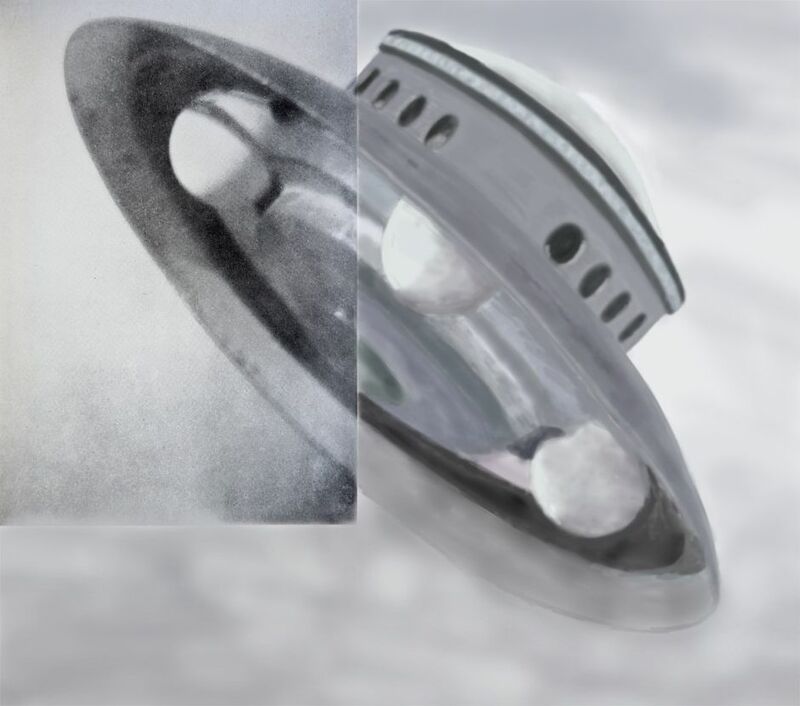 I have taken the original and added the missing part of the craft (left part and right part). Nothing of the original has been changed. I have left the original clearly visible. 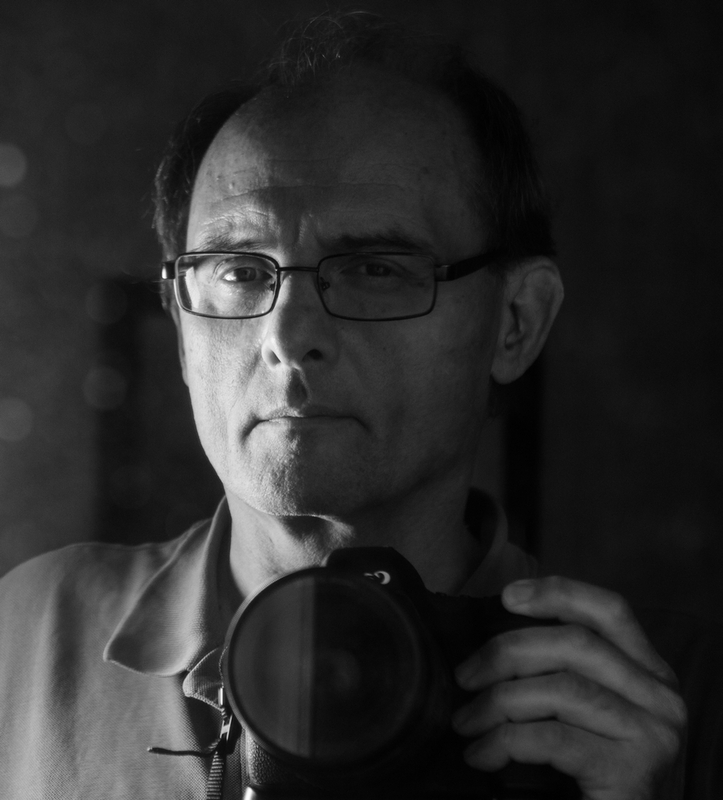 Resolution is 1000 pixels by 1768 pixels. This is the third photo which Adamski took through his telescope - It moved a little upwards that is why the upper part looks a little bit distorted. 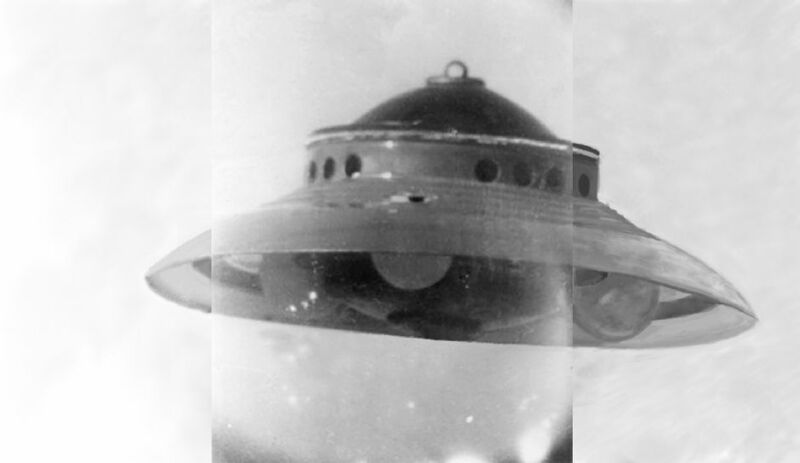 This is the fourth photo which Adamski took just as the craft began to move towards him. Only the right corner of the craft was not in view.